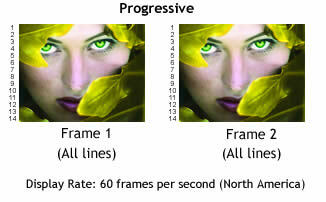 What is ‘p’ and ‘i’ we often see when frame rates are mentioned like 25p or 60i, well, the answer lies with Scan Lines. With other types of video, the scan lines first draw the even-numbered lines until they get to the bottom and then again resume from top, this time around with the odd-numbered lines, it’s called Interlaced scanning (i). 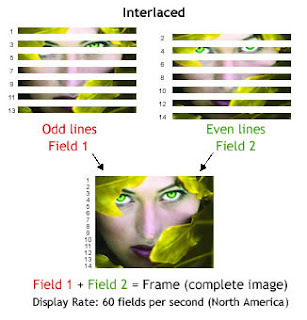 Since interlaced video uses two fields, so when shooting anything in motion, interlaced fares better. But, with all household electronics or laptop or LCD monitors in the market – Progressive is definitely the way to go. Moreover, when you are converting your video in terms of frame rates and resizing, for Progressive as the conversion software doesn’t have to worry about fields. Progressive have no fields. Watch this video tutorial explaining about Interlaced Vs Progressive – it will become clearer.